FAQ: Lead Capture System - ShowValue, Inc.
What is a Lead Capture System? A lead capture system’s main function is to allow the easy capture of demographic and qualifying information from exhibit or event visitors. Our SVCapture™ is a time-tested Lead Capture App ideally suited for companies that must capture and distribute small to large numbers of leads quickly and accurately. Capturing information in a one-to-one environment can be accomplished with most lead capture systems. The app was specifically developed to capture information from every attendee who visits your booth whether in one-to-one environment, through a booth attract such as an illusionist, a theater, or one-to-many demonstrations. Feature rich, the system grades contacts to determine which are leads and delivers the leads in your required CRM format. How is your lead capture app different from what I get from the show management lead retrieval vendor? The official lead retrieval vendor’s equipment is designed to read the show badge, record the badge swipe, and capture some very basic information. Most vendors also have questionnaire software that allows you to capture attendee information using your own questions. If you have more than one lead retrieval system in your booth, there will be one record for each attendee per lead retrieval system visited. You must then combine multiple attendee records into a single record. These systems are not effective in theaters or face-out demos. How should I handle leads from my theater or face-out demos? 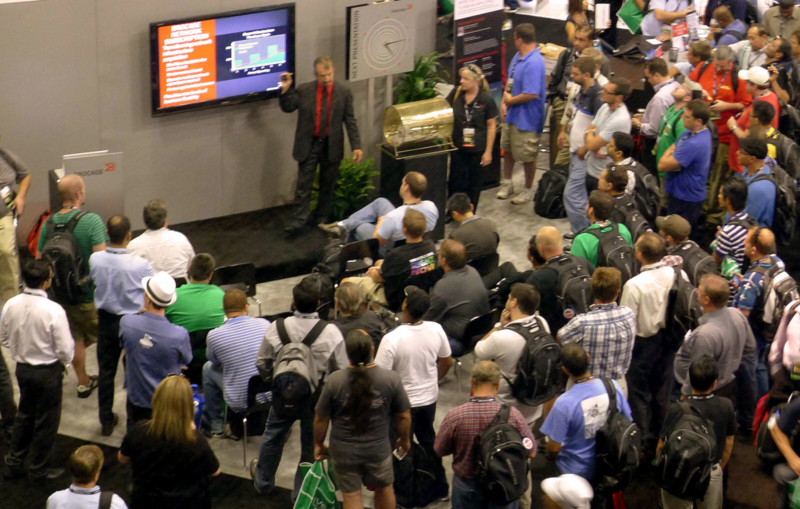 The biggest challenge of any theater or face-out demo is capturing information from every attendee. Asking people to queue up at a lead station after the performance is over simply doesn’t work. ShowValue’s SVCapture app used in tandem with small mobile printers prints the attendee’s demographic information on a label that’s affixed to a custom lead form leaving the attendee free to answer your qualifying questions before, during, or after the performance. There’s no waiting for another attendee to enter his or her information first. Later, completed lead forms are scanned for speed and accuracy of data capture and processed quickly. Does the system support corporate branding? 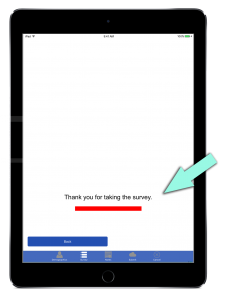 Absolutely, both the on-screen questionnaires and the paper lead forms can support corporate branding in terms of colors, fonts, logos, and graphics. What questions can I ask on the lead form or on-screen questionnaire? Can I get one record for each attendee instead of one for each visit? Sure. Whether leads are captured in a theater, face-out demo, or anywhere else, the data from multiple lead forms is combined into a single record during processing. If the booth has on-screen questionnaires and paper lead forms, the data from both are processed into a single record per attendee. What’s the difference between a “contact” and a “lead”? We draw a distinction for purposes of clarity. A “contact” is anyone who stops by your booth and has his or her badge scanned. A “lead” is a contact that has been qualified. How do I know if a prospect is qualified? In the final analysis, the definition of a prospect must come from you. However, we strongly recommend including questions on your lead form or questionnaire that demonstrate a need for your products, purchasing authority, budget, and purchase time frame. Further, a request for a salesperson to call is often a clear signal of real interest by an attendee. Can the system tell where the attendee has been in the booth? When the scanning station is initialized, it is associated with an area in the booth. This may be a specific demo, the theater, the registration counter, or even a non-disclosure room. Each time an attendee’s show badge is scanned, a record of the event is logged in the database including the station identifier. With this data, we can report booth areas visited right in the attendee record. Does the system keep track of which staff member(s) have spoken with the attendee? We have an option that allows identification of the staff person who spoke with the attendee. Each staffer is assigned a number and simply selects his or her number when completing the lead form or questionnaire. Several companies use this feature to track staff productivity and often hold contests as an incentive for staffers to capture leads. Can the system tell me if an attendee is one of my customers? Yes. 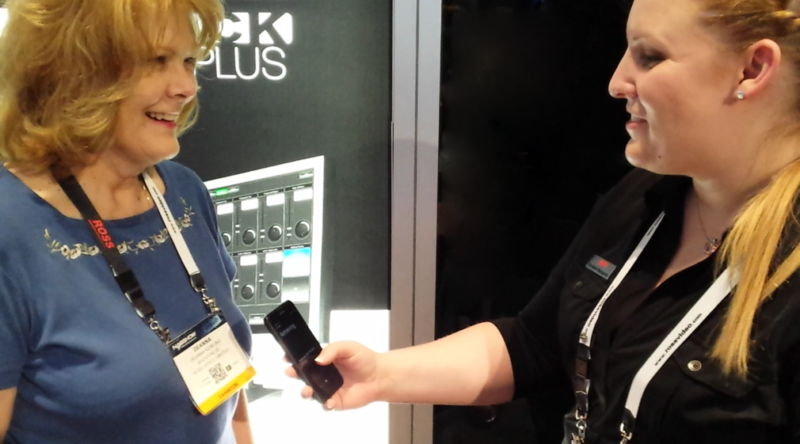 The system has the ability to match the show badge scan information with contact information pre-loaded into the system. This information could represent your customers, hot prospects, a PURL (Personalized URL) campaign, pre-show mailers, or any other VIP. If the person in the database has his or her show badge scanned, the system alerts the booth staff person of the match. Can the system help me track the effectiveness of pre-show promotions? Using the matching feature, the names of people who received a pre-show promotion can be pre-loaded into the system. If the person in the database has his or her show badge scanned, the system alerts the booth staff person of the match. We call this VIP Alert. We schedule in-booth appointments. Can the system tell us when an attendee with an appointment arrives? Yes, using VIP Alert matching feature, the names of people who have scheduled an appointment can be pre-loaded into the system. If the person in the database has his or her show badge scanned, the system alerts the booth staff person of the match. My leads are sent to our CRM system. Can you interface with our system? We deliver your data in virtually any standard format, in any order, and to any file specification. The system can cross-reference attendee responses to codes required by your system. For example, a “Decision Maker” can be coded “YY37” (or anything else) for your CRM system processing and delivered as an ASCII text, CSV, or Excel file. How can I distribute leads to partners in the booth? The system automatically identifies the scanning station where the attendee’s information was captured. Further, the system can be configured with a question to identify either the person taking the lead or a product selection that is associated with a partner. Any of these attributes can be used to determine which leads should go to which partners. In addition, if leads are distributed to partners based on geographic area (Zip Code, area code, or other identifier) the leads can be sorted for each partner during the post-show processing phase. Call us today at (877) 474-6982 or fill out the contact form below to get more information about using our lead capture app in your next exhibit event.